Exclusive research by SHW indicates the Crawley/Gatwick logistics and industrial market is experiencing a severe disconnect between supply and demand, which restricted take-up in the first half of 2017. This is driving up rents and triggering a new wave of spec development. A quick look at the raw data illustrates the extent of the problem with current unsatisfied demand now standing at over 800,000 sq ft and availability totalling 415,000 sq ft – or just 4.1% of total built stock. Although the first six months of 2017 saw a good level of take-up, at 123,500 sq ft, this figure would have been significantly higher had more stock been immediately available. When new developments do come online, they tend to be snapped up quickly, a good example being Gatwick 55, a 55,000 sq ft unit in Crawley that SHW pre-let last year just two days after receiving planning permission. 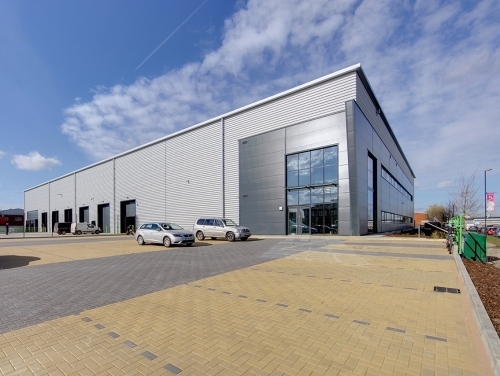 Furniture retailer Barker & Stonehouse pre-let the warehouse which was subsequently forward sold by Barwood Capital/Goya Developments to LondonMetric for its last mile distribution portfolio. Most interest in units over 20,000 sq ft is from logistics operators who are especially drawn to the Crawley/Gatwick areabecause of its motorway connections, rather than its proximity to the airport. Some of the requirements are being pushed down from places like Croydon which is also experiencing stock shortages and where rents are potentially higher. Tim Hardwicke, head of agency at SHW said: “Rents in Crawley/Gatwick have increased by around 25% in the last 12 monthsto reach £13 psf on larger, non-trade counter warehouses. Quoting rents have topped £14.50 psf for pre-lets on new build stock and even higher for the best trade counter schemes, while limited stock levels have resulted in reduced incentive packages. “Against this background, developer appetite is unsurprisingly strong. Volume/LondonMetric is speculatively building 112,000 sq ft in three buildings on the former BOC site in Crawley, one of which has already let ahead of completion early next year. “At Tungsten Park, just south of Crawley, SHW has agreed terms to sell half of the 83,000 sq ft scheme to an owner-occupier. Discussions are ongoing with four parties for the remaining unit, with construction due to start in Q1 2018. “Competition for industrial land is intense, as evidenced by the 17 bids that were received for a three-acre site at Pease Pottage, on the outskirts of Crawley. This was sold to Gallagher who have pre-let a 20,000 sq ft unit to Scania for a lorry and coach service centre and are now in for planning. Wrenbridge is also in for planning for two units, totalling 70,000 sq ft, on a two-acre site at Crompton Way in the town.